Have you ever watched the movie GHOST with Demi Moore, Patrick Swayze, Whoopi Goldberg? Sometimes i kept questioning myself of this supernatural being are they really exist? 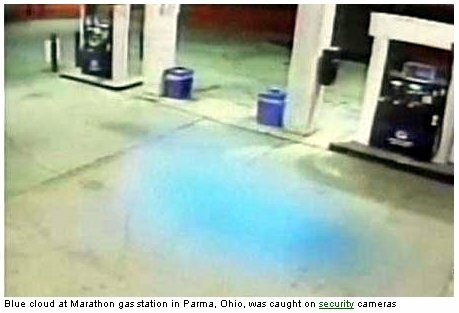 A mysterious, blue cloud that appeared floating for half an hour at an Ohio gas station has some wondering if an angel may have appeared. This intriguing photo, taken in 1919, was first published in 1975 by Sir Victor Goddard, a retired R.A.F. officer. 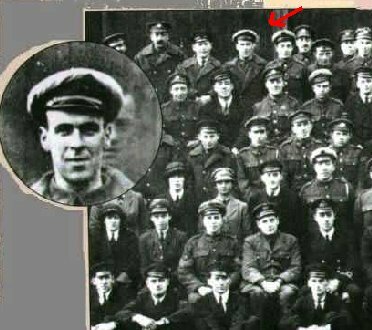 The photo is a group portrait of Goddard's squadron, which had served in World War I aboard the HMS Daedalus. 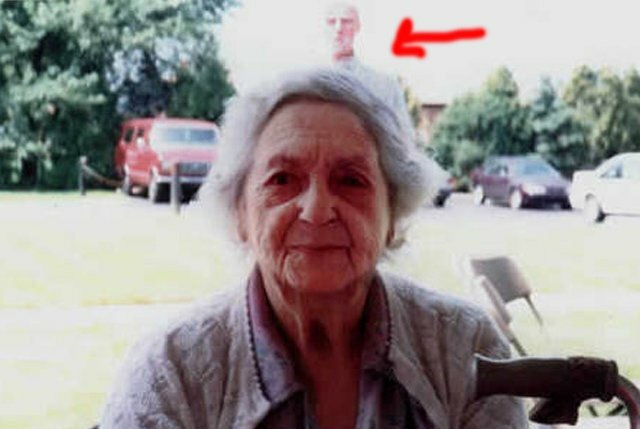 An extra ghostly face appears in the photo. Terry Ike Clanton took this photo at Boothill Graveyard. In the front, Terry is dressed in old gunfighter garb of the 1800's period as a spoof. 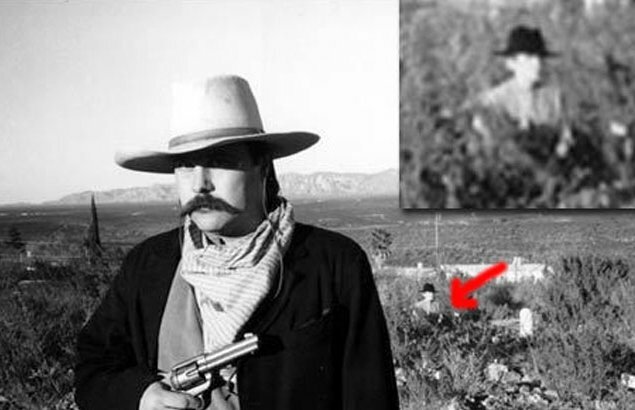 After developing the black and white film at a local Thrifty Drug Store, Terry was startled to find this image of what appears to be a man halfway in the ground. This is how this story goes: Supposedly, the guy in the photo reportedly went out with his friends and he asked 1 of his friends to take his picture. While his friend was taking the picture he screamed and fainted, 2 days later he died in a medical college. Doctors are said to have said he died because of heart attack. 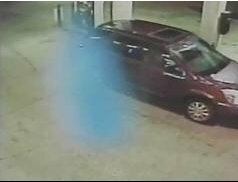 When the photos were exposed, in the last photo there was a lady standing right beside him though friends claim that he was standing alone. YUP TOL HIRO I DO BELIEVE THAT GHOST IS EXISTING. I HAVE MY OWN EXPERIENCE ABOUT GHOST. WEWWWWW NAKAKATAKOT. GHOST? well believe it or not may nakausap n akng ghost 3x p nga hak. Kaya lng d cla humaharap s tao nakatalikod cla. Its nt my imaginary if that wat u think wew, its hard to xplain wg n lng hak. But guys do u believe n 3rd eye? yap,tol pakner naniniwala ako ng third eye kasi yong sister ko parang may third eye hehehe mother ko din hahaha hala takot n sila ta akin. Wala akong lahi na mangkukulam ha, but honestly nakakakita ako ng ghost but once in my life lang yon. d na naulit. i remember my 1st year here in israel ,my flatmates played spirit of the glass, s kkatawag nila ng ghost wlang pumapasok. they invited me to join and leaded the game ,wew, ang bilis ng ghost. nagiging taga lead ako ng game pero lagi ako nagkakasakit kaya tinigil ko :afraid: everytime they ask me nagtatago ako. hehehe , di kapani paniwala but thats true. .
Mga tol wag matakot s ghost s buhay kau matakot kc ang multo d nkamamatay ang buhay pumapatay when i was college we usually went to morgue dun namin pinag aaralan ung mga patay ang dami iba iba may dilat may lbas ang dila nyahahaha jst kidding. D truth is nilalabas lng namin mga laman loob nla to study the anatomy of human. Wawa aman cla noh patay n nga pnag lalaruan p kaya nyo bng kumain s harap ng patay n lbas ang bi2ka? waaaaaaaa tol jhulz 2matayo balahibo ko, hindi kilay tama wag matakot sa patay o sa ghost.dpat matakot sa mga taong nakakasalamuha everyday lalo na pag di masyado kilala. BEWARE S MANGKUKULAM HEHEHE BEWARE THE DANGERED SPECIES. 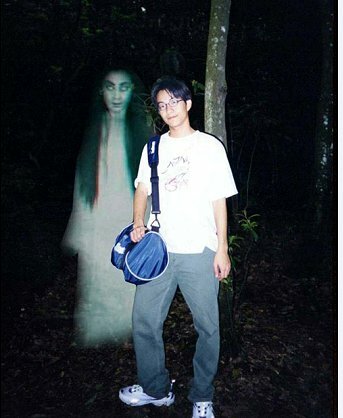 hak tol jay-r napatalon kaba sa last picture weeeeee i think ghost exist they are the bad spirit awooooooo!!!!!!!!!! 'tol jhulz i believe in those who have 3rd eye... And it's really true. Since in my course also we study cadavers lalo na mastering the human anatomy, nasanay na din me manghalungkat at himayin ung patay. And really, malakas sila magmulto! Kaya nakailang bili din kami ng patay kasi pg gabi daw sabi ng school guard..umiiyak yung nabili ng group namin dun sa dissecting room. Pinapalibing namin,bili ulit ng bago. Nakakatakot nga talaga pero mas takot pa dn me sa mga buhay...let's just pray for their souls. Good morning po mga tol..! Sencia na madalang ang vsit ko sa site... Bc po e dami work! Hnd nko maka gala sa dami.. Hope u understand huhu.. Thax! Budy penge ,,DURIAN, CHAW! Take a look at the picture above, I recently discovered this image and its tale in a korean publicaion. The story is this, in Japan shortly before a teenage girl comitted suicide, she drew this picture, scanned it and posted it online. In korea this story broke out and it spread like wildfire. 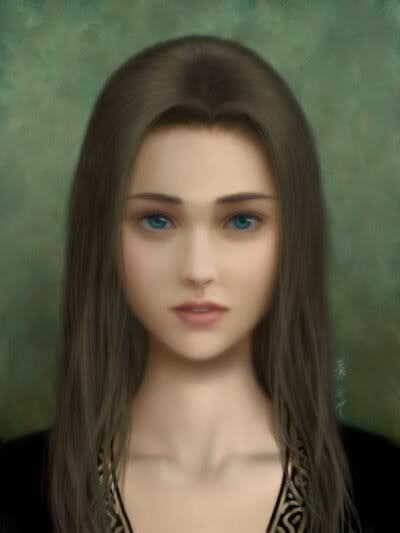 There are various posts around in korean forums that say that the viewer gets drawn to the girls blue eyes, they say they can detect a hint of wraith and sadness within the eyes. Maybe the girl had died with so much sadness and anger that her spirit haunts the image, or maybe the image provoke sadness, similar to the song 'Gloomy Sunday'. The freaky bit is this, they say it is hard for a person to stare into the girls eyes for longer than 5 minutes, there are reports that some people have taken their own lives after doing so. 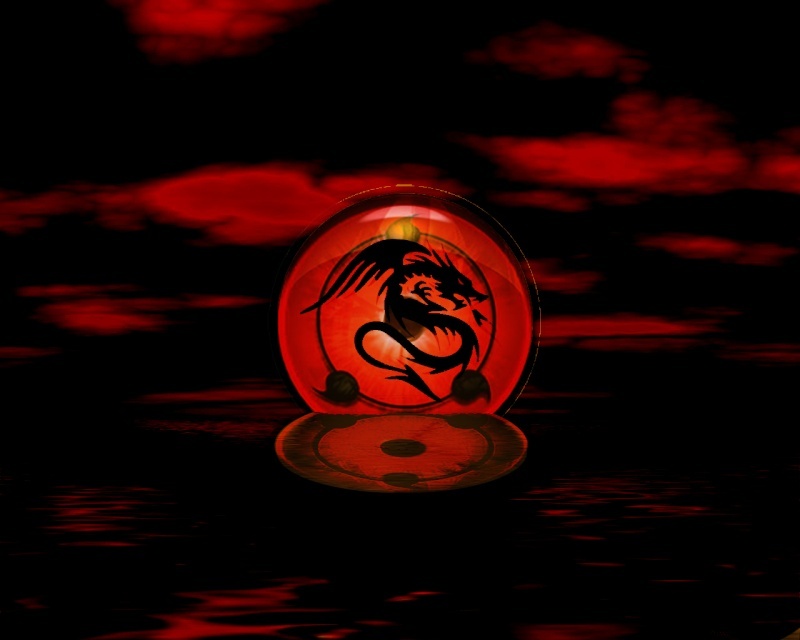 People say the picture changes, as you view it there is a hint of a growing taunting smirk appearing on the girls lips or a dark ring grows around the girl or her eyes. One thing is for sure, the picture has sparked a curiosity in me that I must find out, i do feel a presence when I look at the image, whether it is evil or not I can not judge. I would like to know what the global online community feels and maybe even experts in art would be able to resolve why the eyes of this image can draw the viewer in so deeply? hehehe tol yama, tapang mo ah! Hak owo tol jay-r..bakit ikaw anu gagawin mu pag nakakita kau ng mumu ng gf mu? Subject: Re: Do you believe in Ghost?